The Release of “Blood Lions” and our views on Canned Lion Hunting. 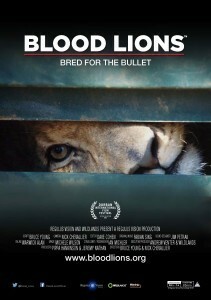 The documentary “Blood Lions” is about to be released in the USA. No doubt it will cause a huge wave of anti-hunting sentiment once again. We too condemn the practice and have actively called upon authorities to update legislation to prevent this slaughter of captive bred lions. What the public must hear too, is that the worst of the worst cases are depicted and captured in the documentary. The footage also goes back many years, mixing old and new as if it is all current. I see that at least one of the outfits featured in the documentary are threatening or are taking legal recourse for inaccurate portrayal of their hunting (Hunting Legends of Africa). However, the fact is that most hunters and outfitters in Africa deplore the practice of canned Lion Hunting and condemn it as being unethical and a risk to all trophy hunting in Africa. I share that sentiment along with a bunch of other South African professional hunters. Lion Hunting gives all hunting a bad name – Read my previous blog post regarding here. The irony here is that the documentary carries a heavy anti-hunting sentiment, yet the producers say they are pro-ethical hunting! and speak out against the shooting of these lions and the lion industry as a whole. The public, and most hunters alike, are calling on the government to legislate against it and the good news is that the government IS drawing up new legislation in this regard. 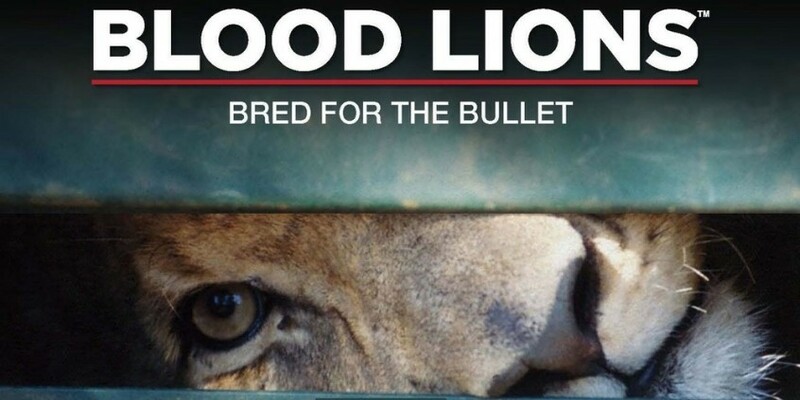 What is more, the producers of Blood Lions have had input in the new draft document. So national legislation is currently being promulgated to end these unethical practices exposed in the documentary. Remember too, that most provinces in South Africa already do not allow the practice of shooting captive bred lions. The irony here is that the documentary carries a heavy anti-hunting sentiment, yet the producers say they are pro-ethical hunting! Dr Andrew Venter, who is a producer of Blood Lions and also CEO of Wildlands Trust, supports trophy hunting when done properly. He recognizes that it is an integral part of conservation in many parts of Africa and that many community based resource management programs are funded primarily from trophy hunting. 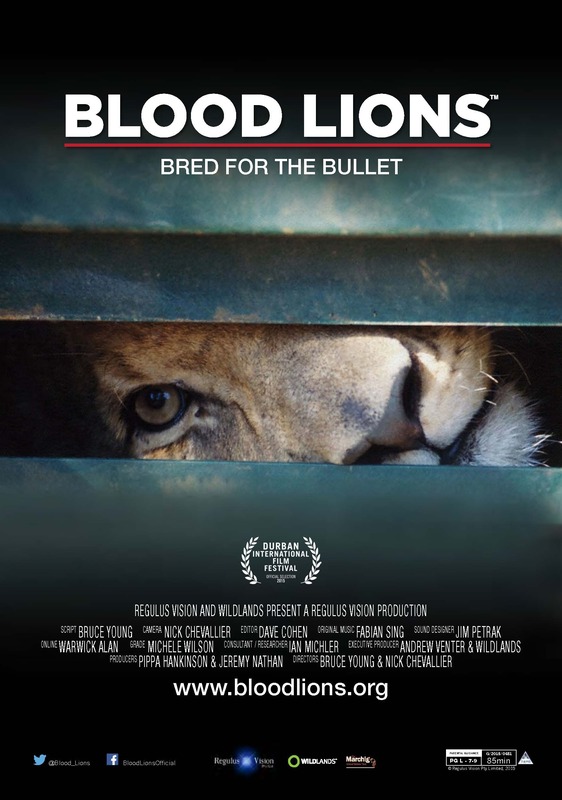 At the Durban premiere of Blood Lions, Ian Michler publicly endorsed (to approx 500 people per night) and encouraged SAMPEO on our stance and held us up as examples of hunting outfitters with integrity. So although he publicly beats the anti-hunting drum, behind the scenes he too recognizes the role hunting plays in conservation. I can then only deduce that it is his ego that drives him on the anti-hunting path. That certainly gets more attention than taking an unpopular pro-hunting stance, and attention is what these people want in order to validate themselves. I find that is the truth with most animal rights activists, they need to stroke their egos and refuse to acknowledge any truths that disprove their ideologies. The fact is that this documentary threatens all trophy hunting and all the good that it does for communities and wildlife conservation. Instead of highlighting the canned lion hunting malpractices locally and allowing the impending legislation to remedy the situation, Michler and Venter have taken this unsavory issue to an ignorant and hostile global audience. This, undoubtedly is going to be detrimental to Africa and wildlife conservation in the long run. I trust they will stand up and step in to fill the void that will be left if trophy hunting fails, undoubtedly they won’t.